American Indian affairs are much in the public mind today—hotly contested debates over such issues as Indian fishing rights, land claims, and reservation gambling hold our attention. While the unique legal status of American Indians rests on the historical treaty relationship between Indian tribes and the federal government, until now there has been no comprehensive history of these treaties and their role in American life. 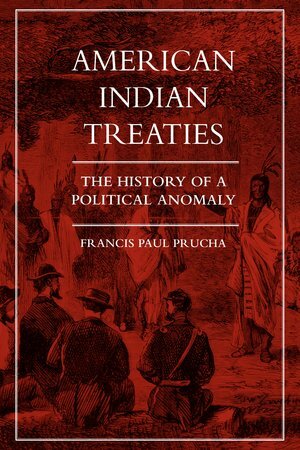 Francis Paul Prucha, a leading authority on the history of American Indian affairs, argues that the treaties were a political anomaly from the very beginning. The term "treaty" implies a contract between sovereign independent nations, yet Indians were always in a position of inequality and dependence as negotiators, a fact that complicates their current attempts to regain their rights and tribal sovereignty. Prucha's impeccably researched book, based on a close analysis of every treaty, makes possible a thorough understanding of a legal dilemma whose legacy is so palpably felt today. Francis Paul Prucha, S.J. is Professor Emeritus of History at Marquette University. Among his many books is The Indians in American Society: From the Revolutionary War to the Present (California, 1985).